With cheap airfares allowing us to jet off to anywhere in Europe for a family short break, it’s easy to forget that we have an endless selection of places to visit in the UK. Despite the unpredictable weather, exploring the UK can be great fun at any time of year. Our beaches are fabulous for sunset walks in the middle of winter and our cities, with their brilliant museums, are perfect for rainy days during family short breaks. The UK has some incredible wild landscapes to explore and endless villages with inviting pubs and cafes to refuel in. Some of my favourite family holidays have been in the UK: an October city break in York; playing on Camber Sands beach in February; and camping in Wiltshire during the May half term. Hopping in the car for a two night family short break, even just an hour or so from home, can feel like a much longer holiday if it’s a break from the norm. 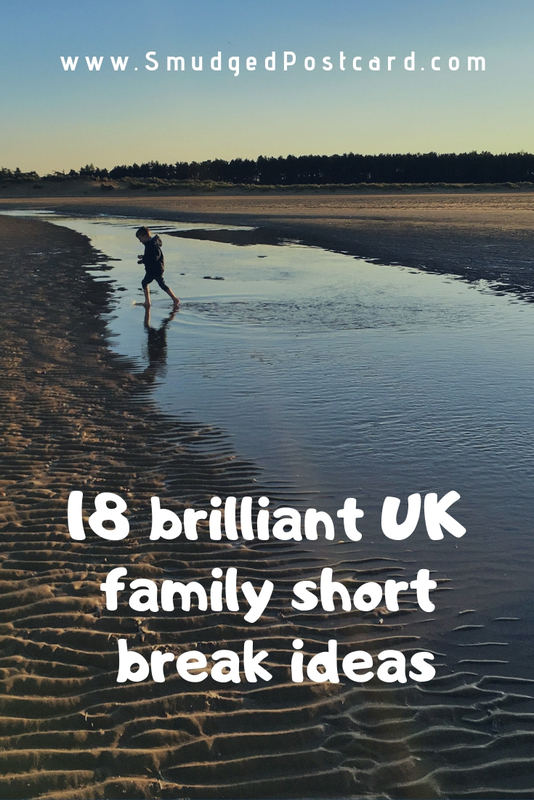 So, with help from a great group of family travel bloggers, I’ve put together a list of 18 diverse family short break ideas in the UK, from the Isle of Wight to the Isle of Skye. I hope you find a destination in here which appeals to your family. When we were in Scotland we did a spontaneous trip from the Scottish Lowlands to the Scottish borders and to Alnwick Castle in Northumberland, England. We stopped at Melrose for some coffee and pastry, learnt about Melrose Abbey where Robert the Bruce’s heart is buried. From there we drove to Alnwick Castle, which was the set for the Harry Potter movies. It is a nice town for a short break. Alnwick castle is very impressive. Still inhabited by the 12th Duke of Northumberland, Ralph Percy and his family, the castle had a ‘homely’ feel. The castle has been in the Percy family for 700 years and all their history, priceless paintings and furniture, books, journals, photographs, personal possessions are there for all to see, from legendary kings and queens of England to the present day. Alnwick Castle is the second largest inhabited castle in England. 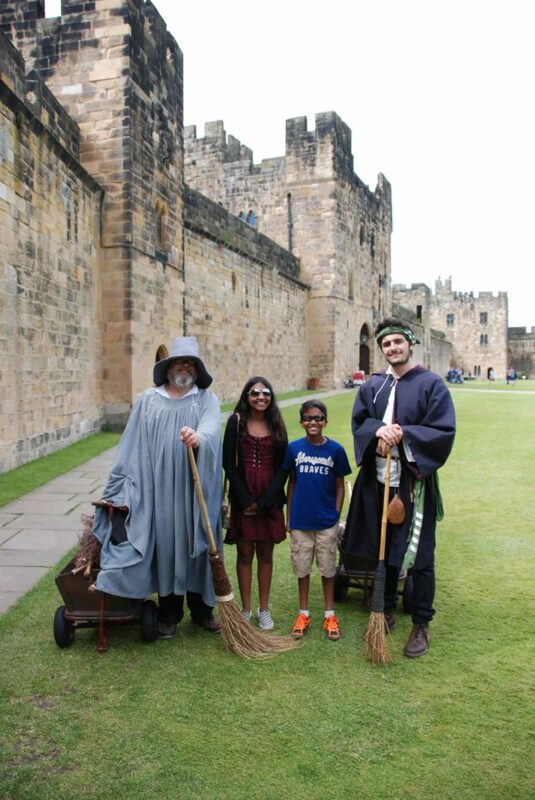 In recent years Alnwick Castle has also taken starring roles in several films and television productions, featuring as Hogwarts School of Witchcraft and Wizardry in the Harry Potter films and as a location for the Downtown Abbey series. You might be able to take broomstick flying lessons when you are there. The Alnwick Castle gardens are enchanting and the town is quaint with coffee shops and cosy cafés, and an award winning fish and chip restaurant. You can find local boutiques and other shops in the centre of Alnwick. 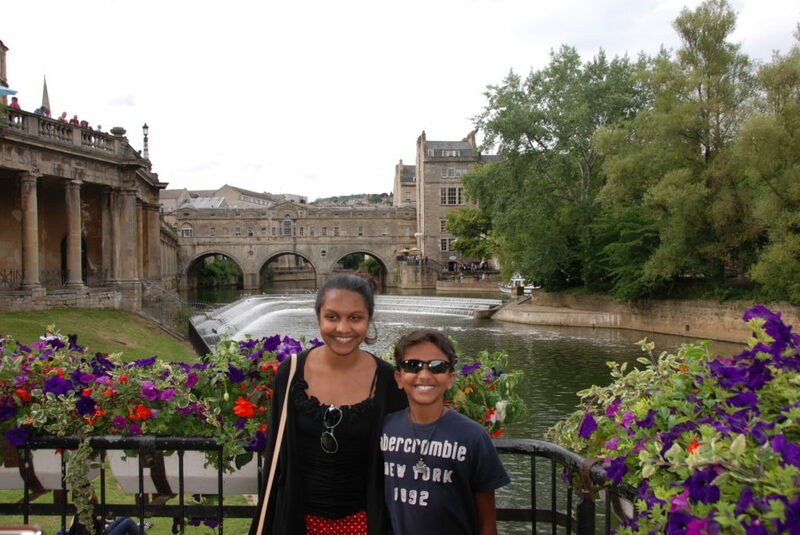 Priya has written a useful post about things to do in Scotland with kids which covers her foray into Northumberland. Bristol is a brilliant city for a family short break. 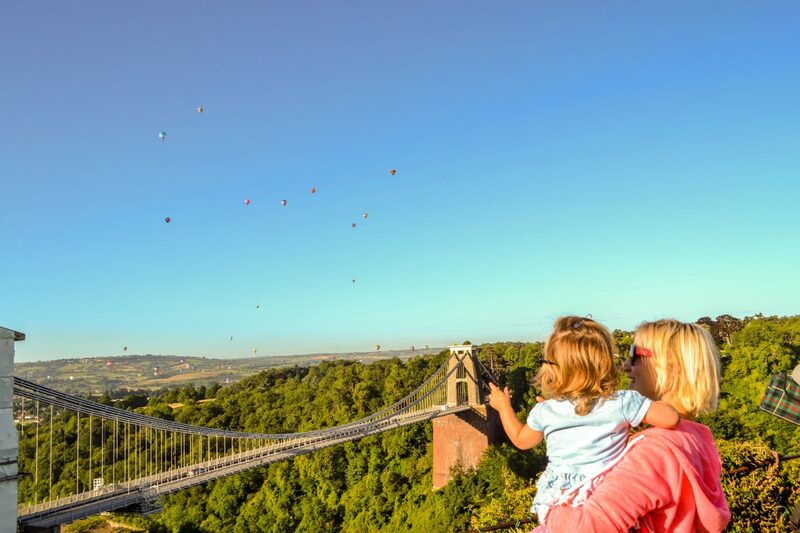 As well as fantastic child-friendly attractions (covering all bases – historical, wildlife, art, scientific and aeronautical), iconic landmarks, quirky places to stay and fantastic theatre shows, there are tons of family-friendly festivals all year round celebrating everything from hot air balloons to maritime Bristol. Described as a ‘city in the countryside’ owing to its proximity to glorious North Somerset, South Gloucestershire and Cotswolds landscapes, it’s also home to over 400 parks and gardens, making it an exciting mix of outdoorsy adventure and buzzing urban life. There’s stacks to do come rain or shine, which means you won’t miss out if the weather takes an unfortunate turn. Bristol also holds its own in the ‘cool’ department thanks largely to its quirky, creative and independent spirit, visibly seen in the vibrant street art (which is great fun to hunt out with kids) and unusual events. Finally, it makes a great base to explore the surrounding West Country, with oodles of exciting day trips to beautiful coastline, castles, caves, World Heritage Sites and more, all within easy reach. There’s lots more to learn about Bristol on Angharad’s blog including the useful post 10 coolest things to do in Bristol with kids. The Cotswolds is one of the UK’s most beautiful areas; think thatched honey-coloured cottages draped with roses, nestling in the hollows of gently rolling hills. At less than two hours from London, the Cotswolds is a perfect getaway for a half term break. There’s something for everyone in the Cotswolds, but it’s especially great for children. Top things to do in the Cotswolds with kids include visiting the animals at Cotswold Wildlife Park, where you can admire bactrian camels, giraffe and rhinos; or the Cotswold Farm Park which has rare breeds of farmyard animals and fantastic outdoor activities. You can explore some of the UK’s most scenic villages such as Bibury and Bourton on the Water where the kids will run riot at Birdland and the Motoring Museum. Further to the north there’s lovely Broadway, home to Broadway Tower high up on a hill overlooking the best playground in the Cotswolds. If the kids are into history then take them to Blenheim Palace on the edge of the region. It’s no stuffy stately home; there’s a whole play area perfect for kids and they’ll love the ride on the miniature train to get there. 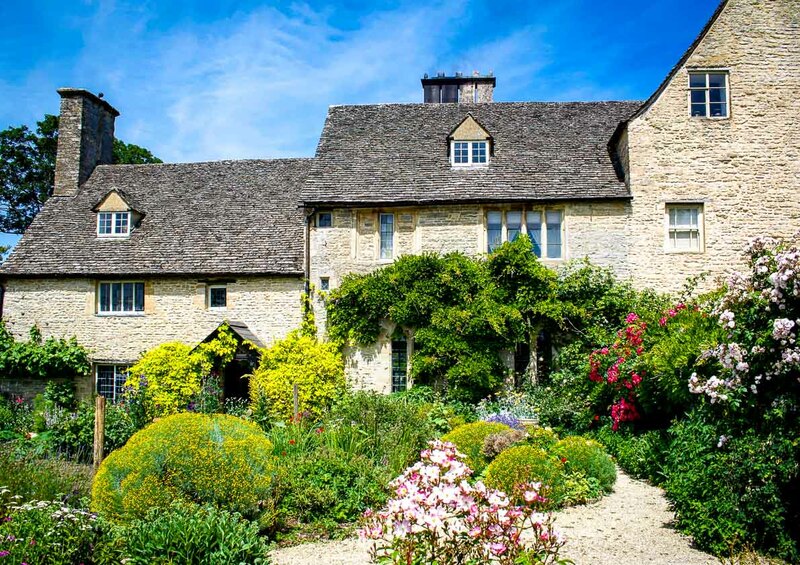 They’ll also love Cogges Manor Farm, an historic farm with gorgeous gardens that was used in the filming of Downton Abbey. There are numerous places to stay in the Cotswolds, although choosing a central location such as Bruern Cottages near Stow on the Wold will allow you to get to both the north and south of the region in less than an hour. The historic city of Durham in the north east of England is ideal for a family short break. It is easy to get to by car or rail and the small, compact city can be covered on foot. 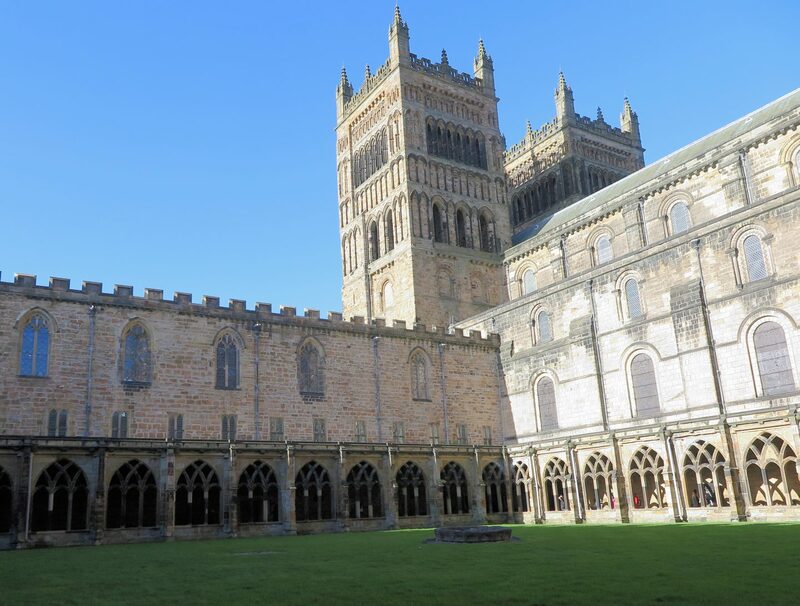 Kids and adults alike will enjoy exploring the UNESCO World Heritage Durham Cathedral which dominates the city skyline. Built in the 11th century, the cathedral is famous for its distinctive rounded arches and enormous carved pillars. Children can borrow activity backpacks with family friendly trails to follow around the cathedral. Harry Potter fans may recognise parts of the cathedral as Hogwarts from the Harry Potter films and Lego fans will love the enormous and detailed Lego model of the Cathedral on display near the cathedral shop. A short distance away across pretty Palace Green is impressive Durham Castle which can be explored by guided tour. Durham city centre has cobbled streets packed with independent shops leading to the central Market Place and the indoor Victorian era market. Escape the bustle of the city with a pretty, peaceful riverside walk along the River Wear. There are also lots of family friendly attractions around Durham such as the lead mining museum at Killhope or Crook Hall house and gardens. A little further afield is Beamish, a fantastic open air living history museum. Here you can visit working wartime farms, stroll a Victorian street, visit the shops and homes meeting the people who ‘live’ there and even take a short trip down a mine. Our kids love riding the assorted trams and buses that travel around this excellent outdoor museum. Think of East Sussex and you might well think of Brighton. However, there’s a whole area of East Sussex, closer to the border with Kent which I have completely fallen fall. The countryside is beautiful: lanes wend their way past meadows and gently rolling hills. There are tiny villages and swathes of vineyards (sparkling wine to rival a certain French bubbly is produced here). And there is an incredible beach: Camber Sands. We’ve yet to visit Camber in the summertime, I can only confirm that it is fabulous in winter: amazing sunsets and three miles of sand for sandcastle builders to play in. A short drive from the beach is lovely Rye, full of steep cobble stone streets, timber framed houses and legends of smugglers and ghosts. A little further west is Hastings, home to the Smugglers Adventure which tells the history of this thriving coastal industry, our boys loved exploring the warren of caves hidden in the hillside above the town. If you can tear your kids away from the coast, the National Trust’s Bodiam Castle, reached by steam train from Tenterden, is the perfect day out. The moated castle has tunnels and towers to explore and a terrifying gatehouse complete with original portcullis. 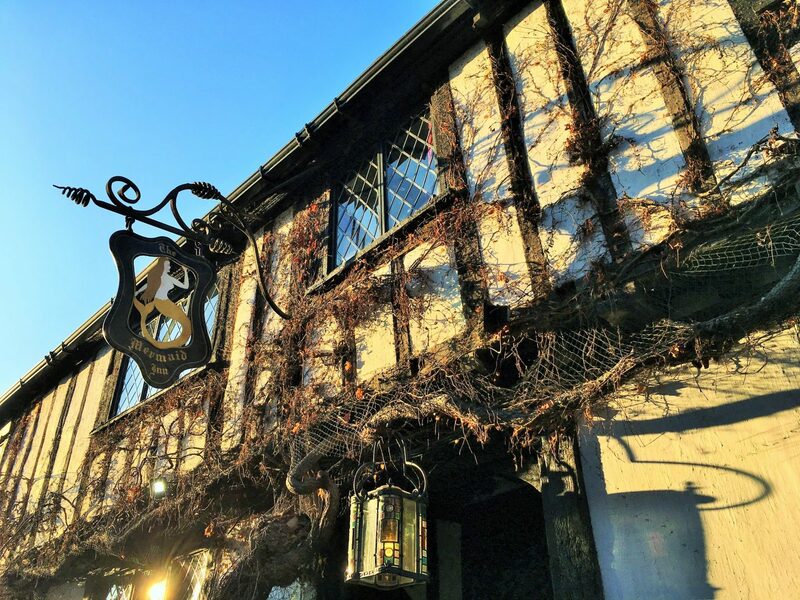 To find out more about this part of south east England for a family short break, have a read of my post about our favourite family friendly things to do in East Sussex. Edinburgh is a great fun city to visit for a family short break. 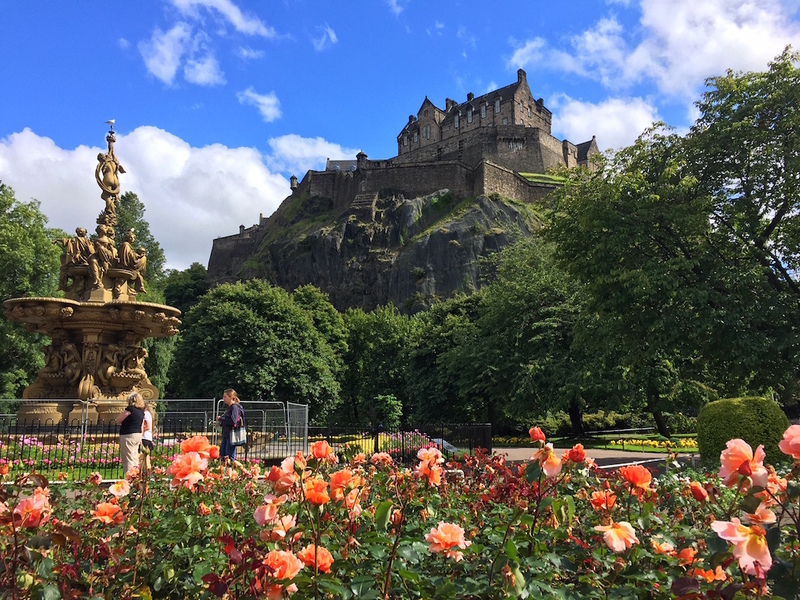 It is a relatively small city, making it easy to get around with kids, and there is lots of wide-open green space, including the city-centre Princes Street Gardens. Most restaurants are child-friendly, and although there are a few hills to conquer, it is generally buggy friendly too. Scotland’s number one paid-for tourist attraction is Edinburgh Castle, which is easily visited with kids, and Edinburgh Zoo and Dynamic Earth are also fun. Our favourite attraction though is the National Museum of Scotland, which is in the Top 20 of the most visited museums and galleries in the world. There is a lot to take in at this brilliant hands-on museum. From the age of the dinosaurs to the technology of the future, there are more than 8,000 objects displayed, covering everything from science and technology to world culture, transport and the natural world. Our kids especially love the Animal World gallery and also Adventure Planet where they can dig for dinosaur bones. There’s even a full-size Tyrannosaurus Rex skeleton. And what’s more – it’s free! For more ideas on visiting Edinburgh, Marianne has compiled 10 fun things to do in Edinburgh with kids. The Lake District is perfect for a short getaway with children. Although it can be packed with other tourists during school holidays, it’s with good reason. There is so much to do and many activities geared towards families. Our family of five visited for a long weekend at the beginning of the October half term. Accommodation can be pricey at peak times, so we rented an Airbnb in Burton-in-Kendal, a 20-minute drive to the busy town of Windermere. When in the Lake District with children, you can’t really avoid a boat trip, and there are plenty of options! Sightseeing cruises cross Lake Windermere, while Ullswater Steamers offer environmentally-friendly trips. We chose a short lake cruise as our children are quite young, and we all enjoyed listening to the tour narration while we spotted points of interest! If you’re a National Trust member, your card will come in useful in the Lake District. We headed to Wray Castle, a mock-Gothic property in Ambleside. 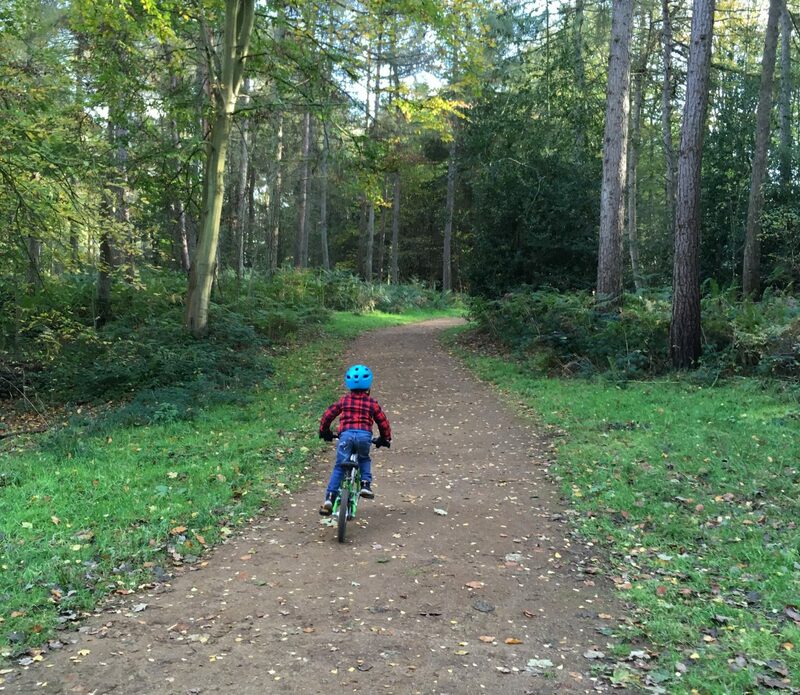 It’s full of children’s activities, including Peter Rabbit-themed playrooms, giant board games, and a great adventure play trail in the surrounding woodland. There are plenty more National Trust estates in the area, including Hill Top (Beatrix Potter’s house) and Wordsworth House and Garden. We didn’t do much walking on our trip, but there are lots of routes suitable for even the littlest of legs. 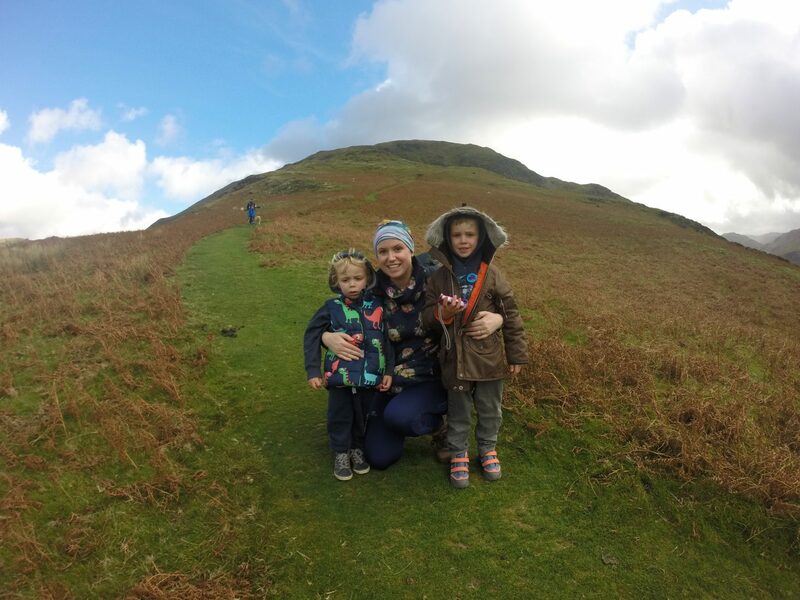 Mini mountain-climbers may even like to take on some of the larger peaks and there are flatter hikes around Lake Windermere and within National Trust estates. Looking for the perfect family short break in the UK? Then look no further than London! No visit to London is complete without a visit to one of the capitals brilliant museums. As an added bonus, most of the London museums are free which means that it is a great place for budget conscious families. The Science Museum and the Natural History Museum are perfect whether you are visiting with older children or even toddlers or babies. London is also a great place to provide your kids with an introduction to theatre so whatever type of culture you want to introduce your kids to on your trip, London will have it! 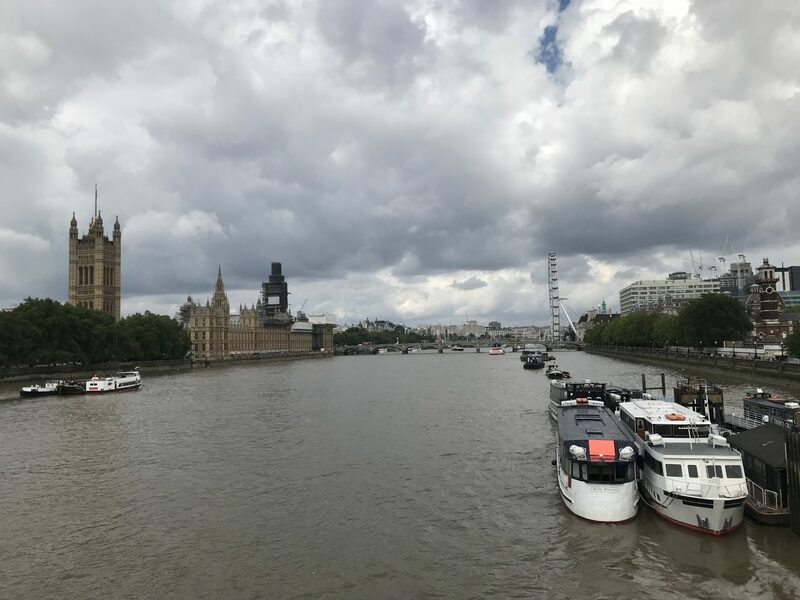 Maybe you are worried about the business of London with kids but fear not, there are plenty of green spaces and parks that you can take your kids to! A favourite is the play area in St James’s Park which is adjacent to the viewing area for the Changing of the Guard – another must for your London bucket list! Anther park which you must visit is Kensington as children will love the Princess Diana Memorial Playground! You will struggle to tear them away. So if you are looking for a great family short break, London is definitely worth considering! For more ideas, Leona has put together 50 best things to do in London with kids. I’m ashamed to admit that my children have yet to visit the green isle where their father grew up. We plan to rectify this on a trip to Northern Ireland later this year so I need to start planning! Belfast will be our first port of call, it’s a great city to visit with kids as it’s compact and easy to explore on foot. The Titanic, the W5 discovery centre and St George’s Market will all be on our hit list as well as a wander through Cave Hill Country Park which overlooks the city. Just outside Belfast, I’ve heard great things about the Ulster Folk and Transport Museum which recreates Ulster life in the early 1900s. Visitors can explore shops and homes and chat to members of staff dressed in period costume. Interactive open air museums such as this one are a brilliant way to engage young children with history. We’ll definitely be paying a visit to the Giant’s Causeway as this seems to keep popping up in my seven year old’s school work. 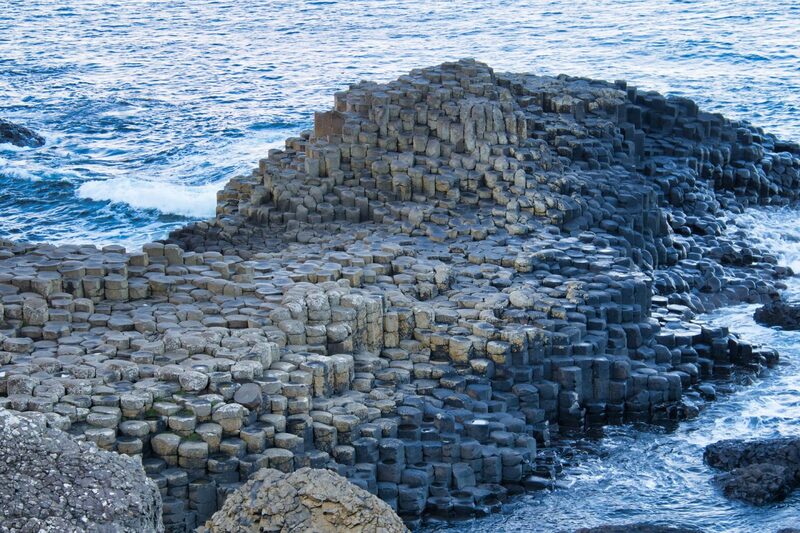 The hexagonal basalt columns are said to be the work of giant Finn McCool although recent studies suggest a volcanic eruption might have played a part in their creation. Anyway, whatever your thoughts on the rocks’ origins, it’s important to explore more of Northern Ireland’s coastline: there are beaches here to rival the best in the world. Portstewart Strand, Murlough Beach and Cushendun village are all exceptional. It’s going to be tricky to narrow down which beaches to explore on our family short break. We love visiting North Norfolk at any time of year. Summertime of course means wonderful days at the seaside on the epic stretches of sand but autumn and winter are also fantastic seasons for a family short break to this region of the UK. 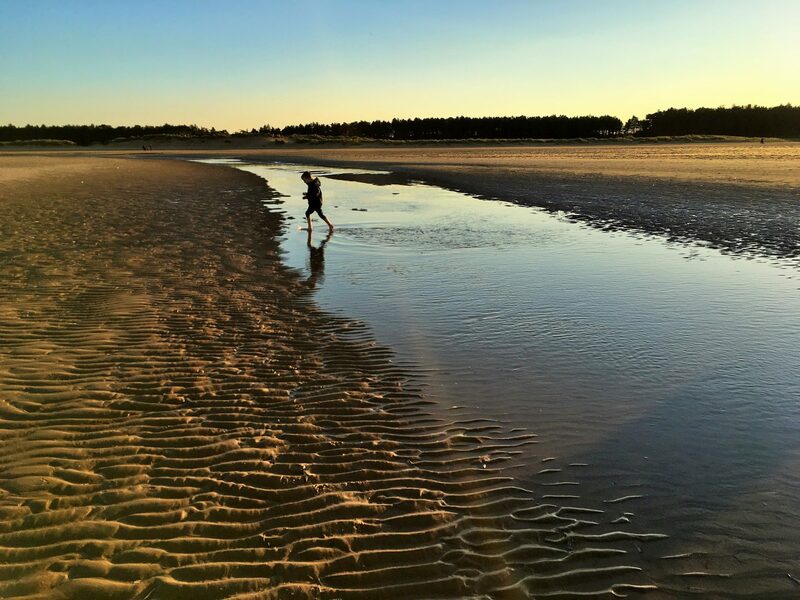 We visited North Norfolk in early November and enjoyed sunny days cycling through the vast estates at Blickling and Holkham and long walks along the coast. Whilst wandering along Holkham beach at sunset, we witnessed incredible clouds of migrating starlings whirling through the skies. If the weather is really up against you, the Sea Life Centre at Hunstanton is a great day out and railway fanatics will love the Poppy Line which takes passengers from Sheringham to Holt. The market town of Holt is home to a generous selection of cafes and tea rooms which we found very helpful during a particularly wet and cold May half term visit to Norfolk. We always enjoy a trip to Wells-next-the-Sea when we’re in North Norfolk. Aside from consuming ice creams and fish and chips, it’s essential to try your hand at crabbing off the harbour wall: we’ve yet to fail at this pursuit. The high street is great for a lazy amble: there’s a good range of independent shops to browse and cafes to linger in although our kids prefer to wile away the time at the excellent play ground which has a pirate ship to clamber on. For a quick family short break during half-term that won’t even require a passport, the Isle of Skye is a great choice. With so much natural beauty and interesting history, there is something for the whole family. Getting there is half the fun, but it can be done fairly quickly. You can take the train to Edinburgh in just over four hours from London or take the overnight train for a real adventure, then rent a car and drive through the beautiful Scottish Highlands to the magical Isle of Skye. Watch out for sheep and highland cows! The island offers several holiday cottages that are perfect for families and give a truly local experience. Once you’re on the island, be sure to visit the Skye Museum of Island Life where the whole family can learn about what it was like to live there 100 years ago. The whole family will love visiting Dunvegan Castle, where you can tour one of the only castles still occupied by the original owner’s family, wander through the beautiful gardens and get lost in the forest and waterfalls, and even take a boat tour out to see the Loch Dunvegan seal colony up close and personal! If you love hiking and the outdoors, the Isle of Skye is the perfect place to go for a hike and enjoy the views. 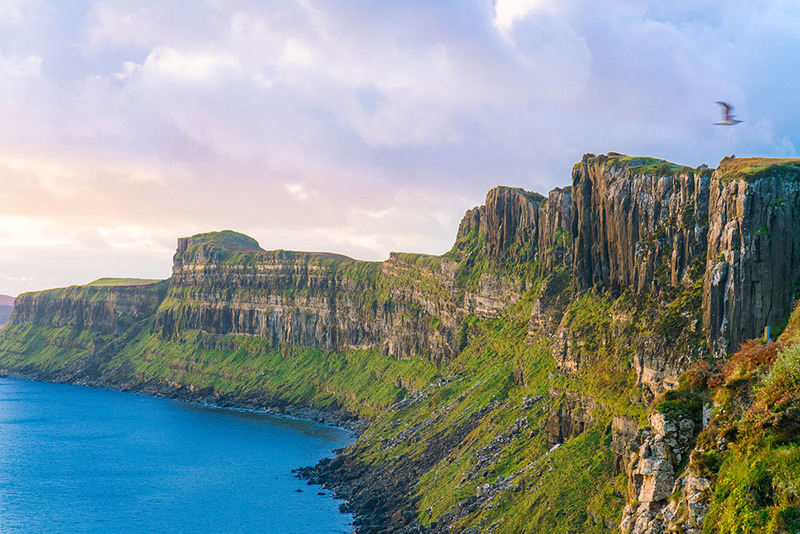 Hike to the Quairang, scale the steps to Neist Point, explore the fairy pools, and enjoy the views of Kilt Rock at sunrise. Visiting the main town of Portree and enjoying local food and ice cream for dessert is a must! Snowdonia in North Wales is a great option for a family short break within the UK for those looking for a combination of outdoor activities and history. There’s so much for families to do, it will be difficult choosing what to do first! There’s castles to explore, mountains to climb, beaches to play on, ice cream to eat, and all manner of adventurous outdoor pursuits. Snowdonia has many beautiful castles to explore. Caernarfon is a great option. Much of the castle is still intact and there are towers to climb and walls to run along. There’s also a worthwhile kid’s explorer trail which kept ours busy and engaged. Snowdon, the highest mountain in Wales, can be hiked, or you can reach the top by train (definitely the best option with young kids!). 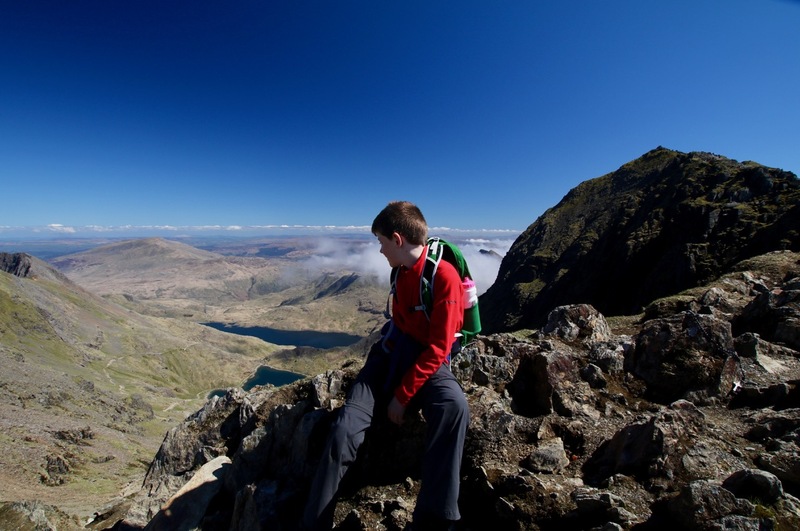 There are numerous other walks throughout Snowdonia to suit all ages and abilities. ZipWorld is the place to head for adventurous pursuits. Try cave trampolining, zip-lining (both above and below ground), tobogganing and treetops courses. There’s something for the most dare-devil of kids. There are numerous beaches in Snowdonia. Barmouth and Harlech are worth mentioning. Spend the afternoon on the beach building sand castles and paddling in the sea. And don’t forget an ice-cream or two! It’s not just the scenery which is straight from a fairy tale in Wales, wherever you look there are myths and legends to be discovered, especially from the tales of King Arthur. 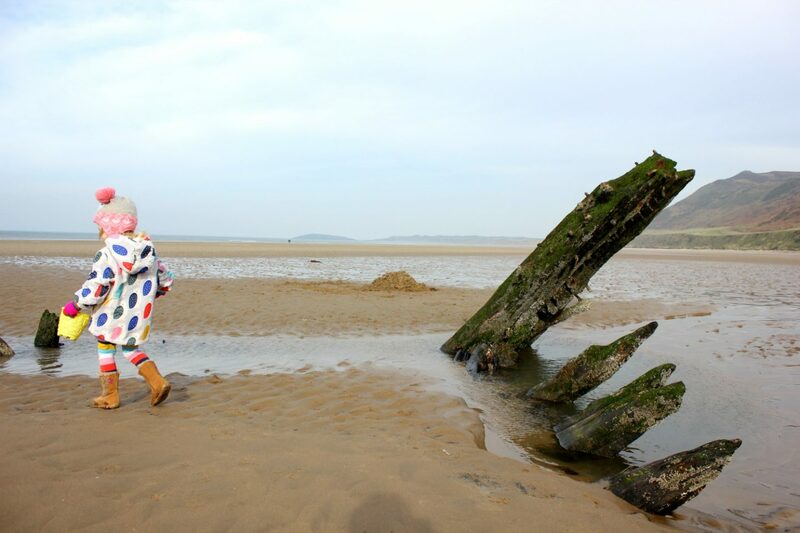 We themed one half-term break around some of the stories, starting in the south east just outside Cardiff and heading towards the west coast in Pembrokeshire via the Gower Peninsula and Carmarthen. Following Arthurian legends, you could head to the three separate lakes in Snowdonia which are supposed to contain Excalibur, Caerleon (reputedly the site of Camelot) as well as two possible locations for his burial – including the hill where he sits to save the country in times of need. If you stick to the south, make sure you head towards Swansea Bay and Arthur’s Stone which he is said to have thrown from Carmarthenshire towards Cefn Bryn – you can still see it near Reynoldston (and keep going down to Rhossili for one of the area’s most beautiful beaches). In Carmarthen itself, there’s a statue of Merlin. Born here, the oak tree he used to sit under was said to protect the town from danger – chopped down in the 70s, a piece is still on display. Perhaps my favourite part of Wales is Pembrokeshire, with its beautiful unspoiled wild coast and the chance to discover Iron Age life at Castell Henllys and more history at Tenby’s little museum. Throw in misty mountains, dramatic valleys, tiny villages clinging to the cliffs and lush green countryside and it’s the perfect area to make your own legends. Head to the YHA Boggle Hole in Whitby for a family short break. This YHA property is built into an old mill. It has updated family rooms that your kids will love. The public areas are packed with kid friendly fun from scavenger hunts to dress up. The old fashioned hobby horses were our boys’ favourite. The Boggle Hole beach is perfect for sandcastle building, tide-pooling and fossil hunting. 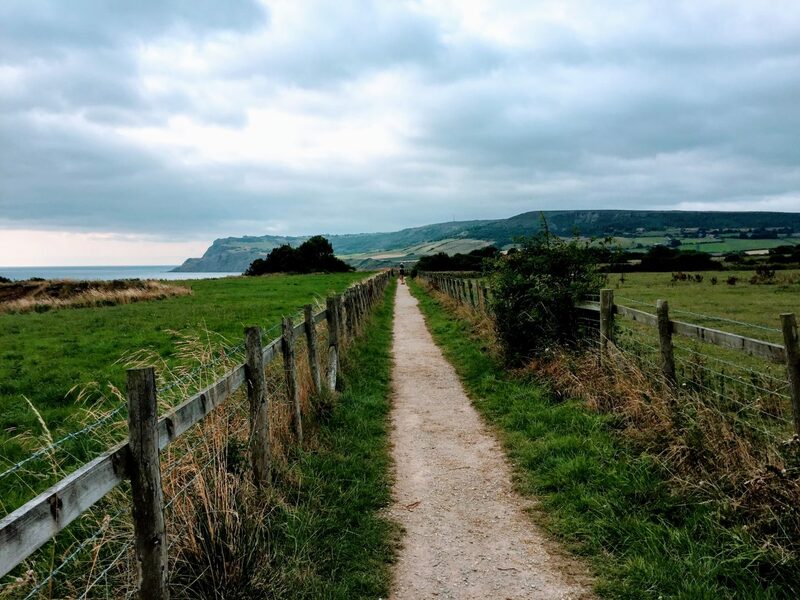 Ten minutes on the cliff-side trail (perfectly suitable for children) brings you to Robin Hoods Bay, a seaside town with a few museums and plenty of restaurants. When the tide is out you can walk back along the beach, exploring as you go. Back at the YHA Boggle Hole you can check out some trash grabbers and help keep things clean or visit the on-site nature centre which hosts a variety of crafts and educational programming. In the evenings the little bar has plenty of seating and simple meals to enjoy while the kids run around the property. We went home feeling refreshed and pockets full of fossils. Every time we visit the Isle of Wight, I’m amazed at just how much there is to do on a relatively small island – and somehow, no matter the time of year, the weather is always better than the mainland! It’s a perfect place to explore with kids: small enough to get around easily, there are beaches galore as well as some little zoos and attractions like Blackgang Chine, with its rides and amusements. History lovers can discover everything from a Roman villa to Queen Victoria’s favourite palace at Osborne and a castle where Charles I was held prisoner (also home to a couple of donkeys). 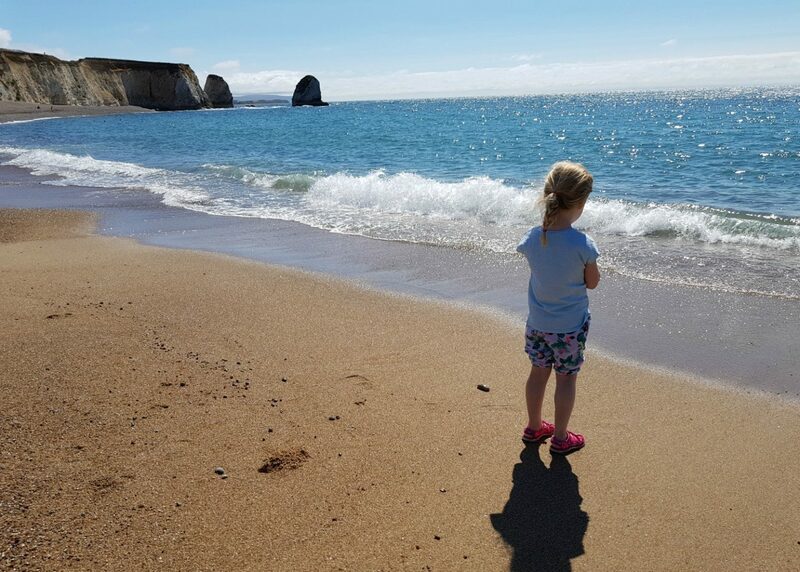 Plus there are natural attractions as well, from the Needles landmark (take a boat out) to National Trust sites along the coast and in the countryside, and even a chance to discover dinosaur history with walks to find fossils. Picking up part of a carnivore’s arm from a beach, thanks to our knowledgeable guide, was one of our top memories. Or if you just want some proper old-fashioned seaside, wandering along the piers with ice cream, you’ll be spoiled for choice too. We’ve visited almost every year since my six-year-old was born, staying at farms and cottages, and still have plenty more we want to do. It’s only a short ferry or hovercraft ride across the Solent from Portsmouth and Southampton (you can also travel from the New Forest) but the second we drive off, I feel like we’ve entered another, more relaxed, little world. You can get to many places in the UK by train from London. Just an hour and a half away, Bath is one of the most popular trips from London and perfect for a short break. The city of Bath has gorgeous Georgian architecture that you can discover on a guided walking tour and you can also visit the Roman Baths that date back to 40 AD, built around Britain’s only natural hot spring. The gorgeous city of Bath was the first city in England to be designated an UNESCO World Heritage site. Jane Austen, the famous novelist lived in Bath in the early 19th century. There are several museums including the Museum of Bath Architecture, the Victoria Art Gallery, the Museum of East Asian Art, the Herschel Museum of Astronomy and the Holburne Museum that you can visit. Don’t miss a visit to the 15th century Bath Abbey –the church is shaped like a cruciform and the fan vaults and stained glass windows are spectacular. In the afternoons pack a picnic and wander around the park near the River Avon, admire Pulteney Bridge modelled after Florence’s Ponte Vecchio. Stonehenge is a prehistoric monument located in Wiltshire, England, about 2 miles (3 km) west of Amesbury and 8 miles (13 km) north of Salisbury. You can visit Stonehenge from Bath or on the way to Bath. One of the most famous sites in the world, Stonehenge is the remains of a ring of standing stones set within earthworks. It is in the middle of the most dense complex of Neolithic and Bronze Age monuments in England, including several hundred burial mounds. Archaeologists believe it was built anywhere from 3000 BC to 2000 BC. I think my sons would vote York as their favourite city for its railway museum alone. The museum is vast, packed with iconic engines including the Mallard, the Japanese bullet train and a replica of Stephenson’s Rocket. Entry to the museum is free. If trains aren’t your thing, there are a multitude of other museums making York a great wet weather destination. We loved the Yorkshire Museum with its interactive exhibits: my kids loved rowing a Viking ship across stormy seas. And while we’re on the subject of Vikings, what visit to York would be complete without a trip to one of the UK’s most popular visitor attractions: the Jorvik Centre. This interactive museum takes visitors on a tour of York’s thrilling Viking past with life size models and recreated scenes of the city. Of course, there’s plenty to do outside in York. 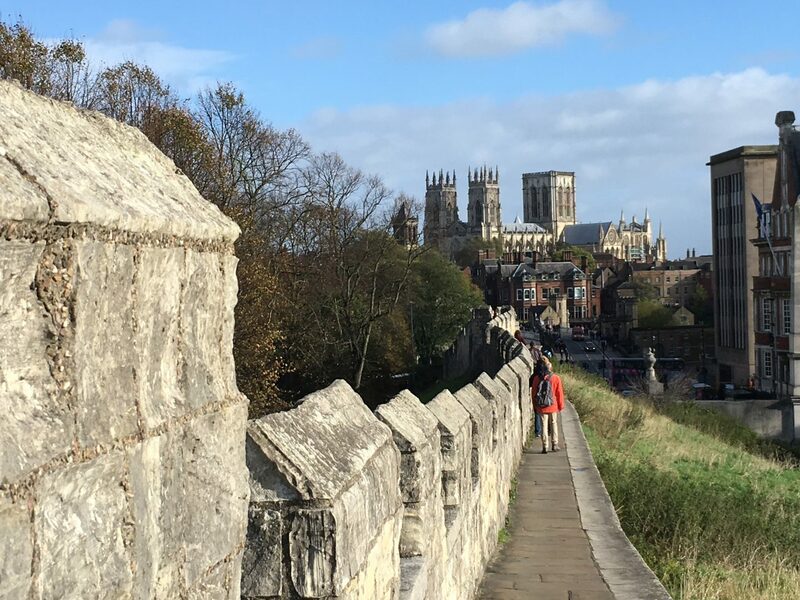 Walking York’s city walls was such a highlight of our visit that it prompted me to write a whole post about walled cities to visit with children. If you’re travelling with little ones who tire easily, you’ll discover they are willing to walk a lot further if they’re atop the city walls: its a great way to explore York. Interested in taking your kids to York for a family short break? Read more about family friendly things to do in York. The Yorkshire Dales is part of North Yorkshire, the largest county in the U.K. North Yorkshire is often dubbed ‘Gods Own Country’ due to its stunning scenery. The valleys and hills of the Yorkshire Dales are a fantastic location for a U.K family short break as there is something for everyone. You can explore the beautiful Dales on numerous family friendly walks of all lengths and difficulties either independently or guided. My favourite walk for a far reaching view of Yorkshire is to climb the stone steps to the top of Malham Cove, a 70 metre high white limestone cliff. Adventure lovers can try gorge walking and canyoneering at How Stean Gorge or go underground at White Scar and Ingleton Caves. The Yorkshire Dales is packed with cave systems and is home to Gaping Gill, a cave with England’s largest known underground chamber. 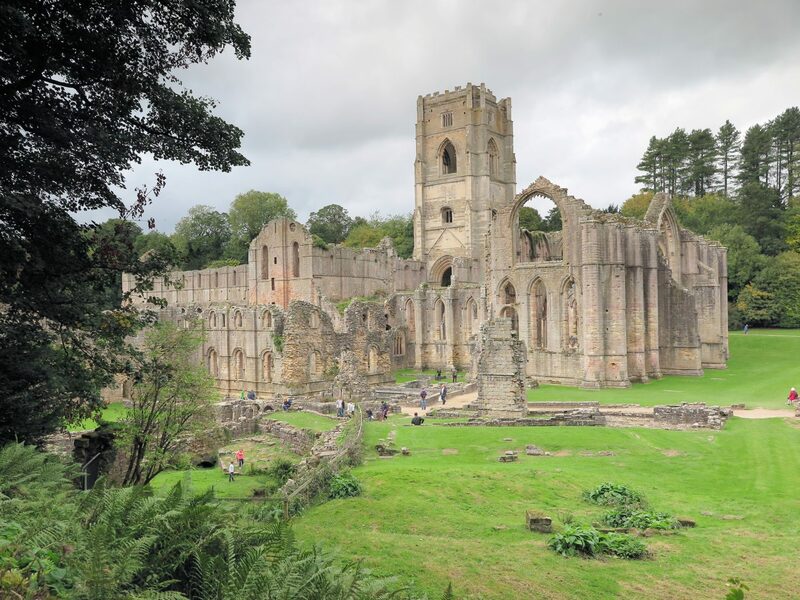 History fans can enjoy the beautiful historic ruins at Fountains Abbey or Bolton Abbey. Kids will love paddling in Bolton Abbey’s river on a hot summer’s day. Train buffs can enjoy steam railway rides across the Dales or visit the iconic Ribblehead Viaduct, famous from the Harry Potter movies. Anyone who loves waterfalls will be spoilt for choice between visiting Aysgarth Falls, Ingleton Falls or Hardraw Force, England’s highest single drop waterfall. And after all this exploring, families can relax at England’s highest pub, The Tan Hill Inn. One of our favourite places to visit as a family is the unique Forbidden Corner, a four acre garden packed with secret tunnels, water spurting statues, hidden chambers and many more surprises! Where is your favourite family short break destination in the UK? Let me know in the comments below. It’s so easy to forget what’s on the doorstep, isn’t it – love all the inspiration here, thanks for including my suggestions too. Your two suggestions are places I used to visit all the time as a child and for some reason I’ve yet to take my boys to either of them. I’m definitely going to Wales next year!